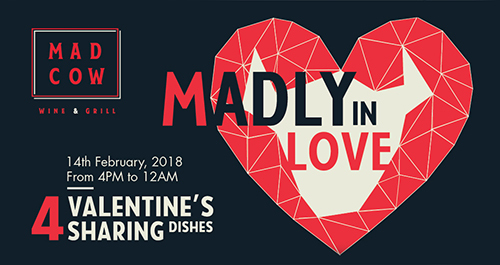 For that special night, Mad Cow is adding 04 special sharing dishes to its menu including Oysters, Chateaubriand, Seafood board and chocolate fondue. Pair these with excellent wines and a romantic view of the city, celebrate the evening madly in love with your partner or friends. Different fruit and marshmallow etc to dip..